Get a summer weekend glow any time with these playful earrings. 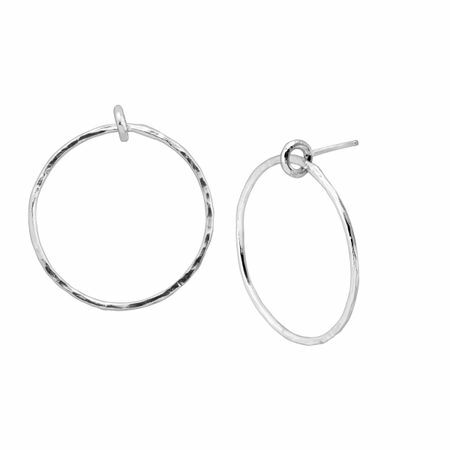 Lightly textured sterling silver hoops are threaded through a smaller hoop at the top of each piece. Earrings measure 1 1/4 by 1 1/8 inches and feature posts with friction-backs. Pieces come with “.925” sterling silver quality stamps as symbols of guaranteed product quality.